Judging by the comments from exhibitors and attendees plus the general look of things, the 2011 Institute of Food Technologists' (IFT) Annual Meeting & Food Expo satisfied the hunger, both practical and intellectual, of more than 15,000 attendees. That's the same number that attended the previous New Orleans show, in 2008, and remains below the 20,000 or so who attend the Chicago shows. But the mood at this year's June 11-14 meeting and show seemed more upbeat than the 2008 New Orleans show. He and a food industry panel provided a provocative discussion on consumer mistrust of food science and what the industry can do to change that image. Anti-science attitudes are dangerous, Specter said, noting a wide-ranging mistrust of genetically modified foods. "Environmental issues exist with genetically modified food," he acknowledged. "There are political and philosophical issues. [But] there isn't a health issue. There's never been a single person becoming sick from eating a genetically engineered food." Consumers need to understand and accept that all scientific progress comes with attendant risks. It's up to organizations and individuals to evaluate that risk and make a decision about whether to accept specific scientific and technological innovations, according to Specter. "Unfortunately society has become increasingly risk averse," he said. "More and more, we have come to embrace precautionary principles, which suggest we should not engage in any sort of activity unless we have mapped out all possible risks. Such an approach makes it impossible for society to advance and progress; with this attitude, there would have been no X-rays, no antibiotics, no green revolution," Specter said. But this is the food industry, and it has a responsibility to be precautionary, especially now that food companies are embracing new science such as nanotechnology. Specter cited the example of raw milk as a product that consumers may perceive to be "natural" and beneficial while in reality "it's deadly," he said. "One of the things we don't teach about risk is the risk of not doing things," he said. "If we don't pasteurize milk, there is a risk that 23,000 kids will die." Speaking to the crowd of food technologists, Specter noted scientists tend to rely on a logical presentation of data without recognizing the importance of addressing the beliefs and emotions that consumers associate with a technology. "You can't just say, 'look at the data,'" Specter said. "Instead, the food industry needs to do a better job of communication -- using tools that include the Internet and social media. Go out and educate. Fight on the internet. People want to believe that things are simple. They're not. You need to remember that progress is why we are here." "In 30 years in this business, I've never seen more anxiety," offered Linda Eatherton, director of global food & nutrition at public relations agency Ketchum. She was one of three food industry representatives who joined Specter for a panel discussion after his talk. "I don't think we do a good enough job of being on the offensive," said panelist Mary Wagner, senior vice president of global R&D and quality at Starbucks Coffee Co. "We have to find a venue to do that and to do that together [as an industry]." The food industry needs to do a better job of "storytelling," contended panelist Martin Cole, chief of CSIRO Food and Nutritional Sciences, an Australian research institute. "We need to need make the issues real and personal." In other presentations during the expo, officials from the White House, USDA and IFT discussed the 2010 Dietary Guidelines, as well as their visual representation, MyPlate, which was publicized just before the show. Other recent news events discussed were the German E. coli outbreak and the possibility of radiation in food from Japan's Fukushima nuclear reactor meltdown … as well as more typical food technology subjects such as sodium reduction, obesity, nanotechnology and sustainable agriculture. DuPont Teijin Films, Ecolab, Loders Croklaan North America and Summit Resource Group were honored at the 2011 IFT Food Expo with Innovation Awards. "Now in its fifth year, the Food Expo Innovation Awards are a showcase for the ongoing ingenuity in our profession and, in some cases, the results of collaborative work among, industry, academia, and government," said IFT President-Elect John Ruff. A panel of nine jurors from industry and academia with broad expertise in research & product development, processing & packaging technology and food safety selected the winners from 53 qualified entries. Only companies exhibiting at the 2011 IFT Food Expo in New Orleans were eligible. Judging criteria included degree of innovation, technical advancement, benefits to food manufacturers and consumers, and scientific merit. DuPont Teijin Films (www.dupontteijinfilms.com) won for its Mylar Cook Ovenable Pouch, which provides a "no-touch" cooking solution for frozen or refrigerated raw proteins. The rollstock thermoforming film can be cooked in conventional, convection or microwave ovens at temperatures up to 425° F. The packaging reduces cooking time by up to 30 percent, saving energy use in home, restaurant, or institutional kitchens. Ecolab (www.ecolab.com) was honored for its Zero Trans Fat Oil Cleaning Program, which interacts with the zero-trans fat oil soils by breaking down the polymerized soil residues and then emulsifying the oil. The technology works at ambient temperature, reducing energy costs associated with heating hot water. Loders Croklaan North America (www.croklaan.com) won the award for its SansTrans VLS30 and VLS40 shortenings, which can reduce saturated fat content and calories in bakery and snack foods. Both shortenings contain a fat-sparing emulsifier package that allows a reduction in use of up to 15 percent fat in applications that currently use an all-purpose shortening. Saturated fat is reduced up to 30 percent and fat content plus calories from fat is reduced by 15 percent. Summit Resource Group (www.summit-resource.com) was cited for its NC-518 Calcium for Bone Health, which enhances the availability of trace minerals and zinc in the calcium. A patented laser micronization process electrostatically enhances the zinc delivery system, allowing the calcium to be absorbed in the bloodstream. Bunge North America (www.bungeoils.com) introduced two versions of Saturate Sparing shortening into its UltraBlends portfolio, primarily for bakery applications. Both versions are blends of canola, palm and soybean oils, with zero grams of trans fat per serving, lower levels of linoleic acid, a 34 percent reduction in saturated fats over traditional functional shortenings and higher heart-healthy monounsaturated and polyunsaturated fatty acids. The all-purpose shortening (No. 172). The emulsified shortening (No. 358) especially for cake and icing. Blue California (www.bluecal-ingredients.com) promoted L-TeaActive, an L-theanine from green tea, which induces relaxation without drowsiness and helps reduce anxiety and stress without negative side-effects. It was confirmed GRAS last November. Since the previous IFT Expo, 21st Century Grain Processing has completed its transition to being a part of Viterra Inc. (www.viterra.com/foodingredients), which specializes in coated whole grains and clusters. Although the raw materials are commodities, the company creates highly individualized blends of oats, flax, barley, wheat and other whole grains, then adds customized coatings to deliver the desired appearance, flavor and texture – as well as nutritional levels. In addition to the whole-grain clusters, Viterra also began offering NuLin, a branded flax seed, and omega-9 oil, a non-GMO, expeller-pressed canola oil via an agreement with Dow AgroSciences. IFT Expo may not seem like the place to introduce a dictionary, but that's what TIC Gums (www.ticgums.com) did. While it remains a work-in-progress, the Texture Revolution lexicon already defines 78 texture-related terms for solid, liquid and semi-solid foods, plus it has a texture mapping process with (so far) 30 texture attribute maps. "It's the first texture tool of its kind," said President Gregory Andon. 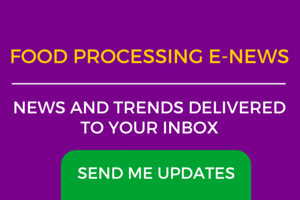 Offered free to product developers, it standardizes the way food processors can express desires for texture – and ingredient suppliers can understand and respond. Tate & Lyle (www.tateandlyle.com) placed a big bet on monk fruit extract being the next non-nutritive sweetener. Introduced under the name Purefruit, it's a natural, fruit-based, zero-calorie sweetener that's been used in Asia for 800 years. One drop of the extract is 150-200 times sweeter than sugar. A water extraction process keeps it natural. Tate & Lyle takes a monk fruit extract supplied by BioVittoria, which has greatly expanded the fruit's propagation, and further refines it into Purefruit. It's suitable for sweetening an array of foods and beverages. Gum Technology's (www.gumtech.com) Coyote Brand GumPlete stabilizing systems have the best attributes of both gums and starches. Incorporating starches and gums independently in formulations can be complex. There are many variables to take into consideration to ensure both the gums and starches achieve their full functionality. The new GumPlete systems are designed so the starch and gums work synergistically. They reduce overall hydrocolloid usage levels, help maintain system integrity and create a cleaner flavor release with great mouthfeel. The new systems create specific functionalities and textures, while also providing cost savings. Premium Ingredients was in the process of changing its name to Prinova (www.prinovagroup.com). The company showed Teawolf organic, fair-trade certified botanicals, PureCircle's stevia extracts and Oryzatein whole-grain brown rice protein. ICL Performance Products (www.icl-perfproductslp.com) introduced Mianjia, a line of phosphate-based leavening ingredients formulated for Asian noodle production. A small amount of Mianjia can reduce up to 30 percent of the modified starch in some applications, improving texture and reducing cost, the company claims. ICL also debuted Salona, a low-sodium sea salt derived from the Dead Sea. With only 1.7g of sodium for every 100g of Salona (versus 39g of sodium for every 100 grams of sodium chloride) it enables a big sodium reduction by replacing 25-50 percent of sodium chloride. Responding to growing worldwide demand for sucralose, Niutang Chemical (www.niutang.com), the leading producer of sucralose and aspartame from China, completed the third expansion in four years of its sucralose manufacturing facility and will have 800 metric tons of capacity available by mid-2012. In 2010, the company began producing liquid sucralose, which eliminates dusting and blends quickly in food and beverage formulations. Nancy Hughes, vice president of sales, pointed out Niutang is one of the few sucralose manufacturers in China that audits, qualifies and tests incoming suppliers and raw materials, and the company holds a British Retail Consortium (BRC) food safety certification. Sensient Colors, a business unit of Sensient Technologies Corp., (www.sensient.com) showed SensiPearl natural iridescent pigments, which can differentiate foods through "luster effects, color shifts and iridescent shimmers." The colors are mica- and titanium dioxide-based, can be labeled as natural and are FDA approved for use in cereals, confections, frosting, marshmallows, gelatin desserts, hard and soft candies and chewing gums. Cargill (www.cargill.com) debuted FlakeSelect, a portfolio of products that enables food manufacturers to reduce sodium in snacks, baked goods and processed foods, or reformulate with sea salt, while maintaining the salt taste consumers expect. FlakeSelect uses Cargill's patent-pending compacting technology to combine salt and other ingredients. The process applies pressure to the ingredients to create an agglomerated, or clustered, thin flake with properties including uniform consistency, low bulk density, high solubility and a large surface area. The result is a flake that has superior adherence for topical applications. Applications include, salty snacks, bakery products and seasoning blends for meat products. There are four formulations: FlakeSelect KCl (potassium chloride), FlakeSelect KCl/Salt, FlakeSelect KCl/Sea Salt and FlakeSelect Sea Salt; plus four cut sizes: extra coarse, coarse, fine flake and flour. Grande Yogurt Powder from Grande Custom Ingredients Group (www.grandecig.com) is a cultured Grade A yogurt powder combining the authentic flavor of yogurt with high protein and creamy textural properties. It can be used in traditional compound coatings, and can be used to create instant yogurt dips, dressings, yogurt smoothie mixes, frozen desserts and nutrition/meal replacement bars. It's 100 percent natural dairy, USDA compliant, certified USPH Grade A, Kosher and can be labeled as whey protein concentrate, nonfat dry milk, yogurt culture or contains milk. Gold Coast Ingredients (www.goldcoastinc.com) highlighted New Orleans cuisine -- classic Cajun and Creole flavors like jambalaya and shrimp étouffée. Incorporating some of its natural, natural & artificial and artificial flavors in liquid, powder and spray-dried forms, Gold Coast provided lagniappe (something extra they didn't pay for -- thrown in to sweeten the deal) for attendees. One of the consumer trends affecting food development is the desire to know where ingredients originate. All organic products from Grain Millers (www.grainmillers.com) are sourced from organically certified farms, which grow only non-genetically modified crops without the use of pesticides. Most of their ingredients – oats, wheat, barley, rye, and in the form of flakes (rolled), whole flour, bran, fiber, meal, whole grains, cut grains and mixes, and dairy ingredients such as buttermilk powder, lactose, and non-fat dry milk -- can be purchased in both conventional and organic versions, and its manufacturing facilities clean and package mustard, flax seeds, soy beans and other specialty grains requiring a high level of purity. Satiereal from P.L. Thomas (www.plthomas.com) is new patent-pending satiety ingredient derived from saffron. It encourages weight loss because of a feeling of satiety. It is derived from the flowers of saffron crocus, Crocus sativus L., which is cultivated throughout the Mediterranean, so it is cost effective as a weight-loss formula. Not so much a product but a food safety system, ConAgra Mills introduced SafeGuard, an integrated production and distribution process that makes SafeGuard Flour ready to eat raw. Despite warnings, consumers can't help but lick spoons and bowls of cake mixes, or they may eat frozen pizza that isn't sufficiently heated. SafeGuard boasts a 5-log validated pathogen reduction (which can be customized) via a heat treatment, which maintains absorption, starch quality, gluten vitality and enzyme activity. Sodium reduction involves more than eliminating some salt in your formulations. Spicetec Flavors & Seasonings (www.spicetec.com), a unit of ConAgra Foods, offers integrated solutions involving an array of flavors and seasonings, plus mineral salts, flavor maskers, bitter blockers, nucleotides, hydrolyzed proteins and yeast extracts – as well as the company's own patent-pending Micron Salt. Morton Salt Inc. (www.mortonsalt.com) expanded its sodium reduction offerings with the U.S. distribution of KaliSel (produced by K+S Kaki GmbH) potassium chloride, which can be used as a replacement for salt, a taste enhancer, processing agent, stabilizer, gelling agent or preservative. A good source of dietary potassium and available in various particle sizes, KaliSel is a versatile ingredient that can be used in a variety of foods including meats, soups, sauces, snacks, dairy, prepared meals, sides, bread and baked goods. It can replace up to 33 percent NaCl in many processed foods without affecting consumer taste acceptance. Dow AgroSciences (www.dowagro.com) unveiled Omega-9 Sunflower Oil. With no trans or saturateds, it is high in heart-healthy monounsaturated fats and is the first oil to qualify for a saturated-fee claim. The oil comes from Nexera seeds developed by Dow AgroSciences through traditional plant breeding. Because the oil has a very high level of stability, many formulations do not require antioxidants, TBHQ or partial hydrogenation to achieve the desired shelf life allowing for a cleaner ingredient label. Consumers seek snacks and baked goods with less saturated fat. In fact, according to NMI's 2010 Health & Wellness Trends Report, 56 percent of consumers said that they would like to have less saturated fat in their foods, and 41 percent indicate that they check "saturated fat" most often on packaged food and beverage labels. Cargill (www.cargill.com) introduces Clear Valley 80 High Oleic Canola Oil. It is a first-of-its-kind product because it has low levels of saturated fat, 0g trans fat (per 14g serving), a cost-saving solution due to its exceptional shelf life (up to 18 months), and a consumer-friendly label. Because it resists oxidation and the development of flavor "off" notes, Clear Valley 80 High Oleic Canola Oil allows food manufacturers to forgo familiar formulation challenges associated with the use of canola oil to create great tasting cereals, snacks and baked products. It also may allow customers to switch to more environmentally-friendly packaging, and save on packaging film. Glanbia Nutritionals (www.glanbianutritionals.com) launches OptiSol 1030, a high dairy protein concentrate designed for frozen yogurt systems. An innovative new dairy-based ingredient, OptiSol 1030 harnesses the high nutritional value of protein for consumers who want to manage their weight and improve satiety levels. OptiSol 1030 combines the functionality of high dairy protein with improved flavor and a smoother texture, creating a fresh-tasting experience for consumers. Designed to be highly soluble, the new ingredient can be easily incorporated into frozen yogurts and is particularly suitable for incorporation into Greek-style high protein frozen yogurt. In addition, manufacturers can benefit from the better cost-in-use systems and a simpler formulation process. SK Food International's (www.skfood.com) Precooked Quinoa and Amaranth Flakes, available in 50-lb bags and bult totes, are custom milled from heirloom grains. The flakes are gluten-free and kosher, and applications include cereals, tortillas, snack foods, baby food, flat breads, baking mixes, and energy bars. Available packaging sizes include 50 lb bags and bulk totes. Sensus America Inc. (www.sensus.us) highlighted Fructalose SF75, sweet chicory root fiber. It is available for manufacturers wanting to reduce added sugar; in fact, it delivers about 65 percent of the sweetness of sucrose at only half the calories and one quarter of the sugar. This natural ingredient, which can be labeled chicory root fiber, has the functionally of high fructose corn syrup, making it easy to work with, and is ideal for reducing sugar in sweet baked goods, dairy products, and cereal bars. Fortitech (www.fortitech.com) showcased its expertise at developing and manufacturing custom nutrient premixes with prototypes, including a heart healthy antioxidant fortified salsa with vitamins A, C and E, as well as CoQ10, Lycopene and Selenium; an energy enhancing gum fortified with Taurine, Guarana and B-vitamins; a clear protein drink with electrolytes for sports nutrition; and two varieties of an all-in-one stick pack -- A blood orange-flavored weight loss formula containing Chromium and L-carnitine and another addressing overall wellness, containing vitamins A, D3, E, B-vitamins and folic acid. Univar Inc. (www.univarusa.com) introduced the 2011 edition of Less is More, its interactive formulation resource. For several years, Univar, in collaboration with many of the world's leading ingredient suppliers created a comprehensive and trend-based guide to new ingredient function and formulation. The 2011 version offers ingredient options and case studies to assist in creating new products that meet consumer demand for products with less sugar, salt and fat. It allows easy point and click access to the latest ingredient application information, and an intuitive, browser-like interface to navigate technical documents, trend guides and starting formulations. Salba, from Salba Smart (www.salbasmart.com) is a nutrient dense, and most nutritionally consistent form of chia. It's gluten-free, high in fiber, rich in Omega-3s, helps curb appetite and increases the nutritional profile of just about any food or meal. While consumers are sprinkling it into cereal, yogurt, soup, sauces, sandwiches and more, manufacturers are adding it to everything from bread and pretzels to baby food. Salba's tiny white seeds pack a big nutritional punch, because unlike other strains of chia, Salba is a blend of the only two registered varieties of Salvia hispanica L.: Sahi Alba 911 and 912. Grown in Peru under carefully controlled conditions, it contains, gram for gram, eight times more Omega-3s than salmon, six times more calcium than milk, three times more iron than spinach, and 30 percent more antioxidants than blueberries. Naturally gluten-free and neutral tasting, Salba is an ideal whole food for allergy sufferers, and can be added to everyday foods, as well as baked goods, for an optimum nutritional boost. It also offers those with celiac disease and gluten intolerance a range of additional benefits. With four times the fiber of flax seed, Salba serves as an exceptional replacement for the fiber that is often lacking in a gluten-free diet. Its ability to absorb 14 times its weight in water ensures that it moves slowly through the digestive tract making it possible to feel satisfied for longer. Salba is also rich in calcium and magnesium, which helps to restore nutritional deficiencies that result from impaired absorption, while aiding in intestinal healing. Freekeh from Woodland Foods' (www.woodlandfoods.com) is a 100% natural roasted grain from green wheat. This ancient grain from the Eastern Mediterranean is a protein-enriched super-food high in fiber (up to four times the fiber of brown rice), high in iron, and promotes healthy digestion. Freekeh, which has a smoky aroma and a nutty, toasted taste, is a cousin to bulgur wheat and similar to brown rice and barley.